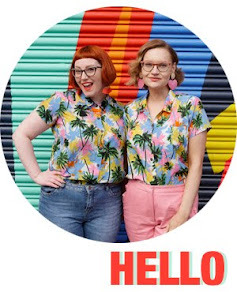 After Kimberley picked a ModCloth bikini for her Holiday Wishlist I decided to spend a bit of time browsing the site myself. They have such a great selection of fun and quirky clothing and I found myself especially drawn to their vast selection of ladylike dresses. 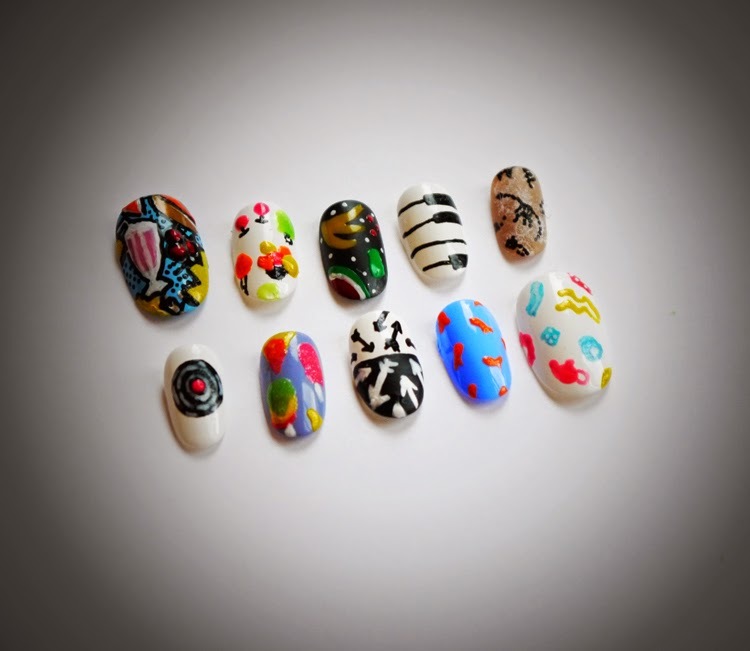 So, I was super excited when we got an email from them asking us to take part in their nail art challenge. Perfect timing or what?! 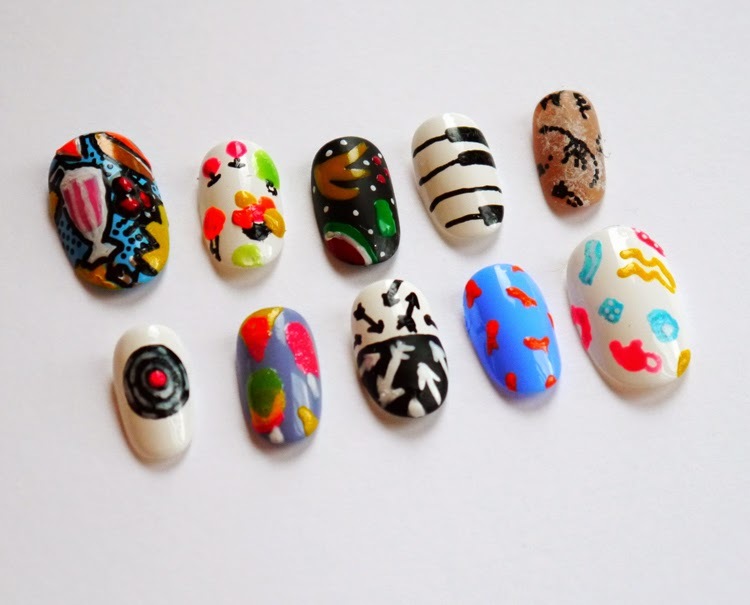 The challenge was to create some nail art inspired by one of their summer dresses. Here is where my dilemna began. How to choose which one to use as my muse??!! I narrowed it down by searching for printed frocks. I am a sucker for anything with a fun pattern so I knew this would be the right way to go. I then managed to pick out my top ten, but after that I was stuck. With such a great variety of kitsch designs there was no way I could decide on just one. So, in the end, I cheated. With my number of favourite designs matching up nicely with the number of fingers I have, I thought I'd opt for a different design on each nail. 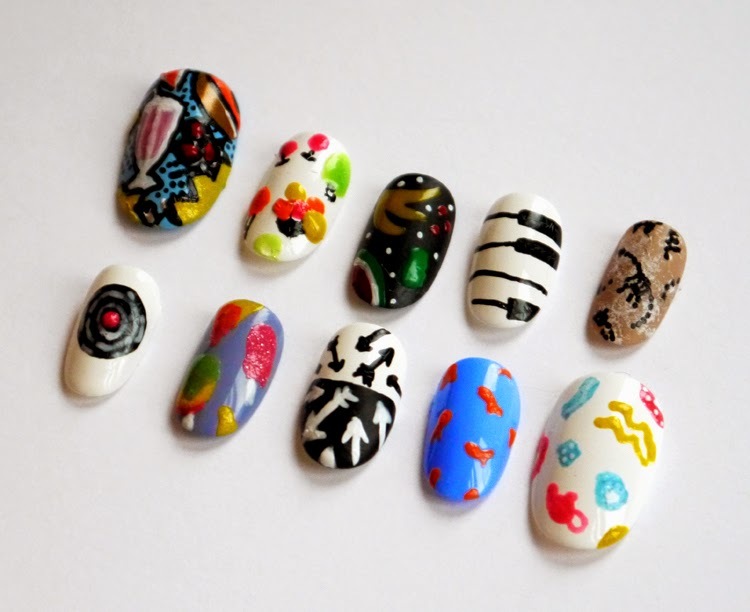 I loved the end result of our mixed Wardrobe Conversations nail art so I thought I'd take the opportunity do a similar thing and really show of the selection ModCloth have to offer. Hot dogs, pop corn, ice cream, cupcakes! 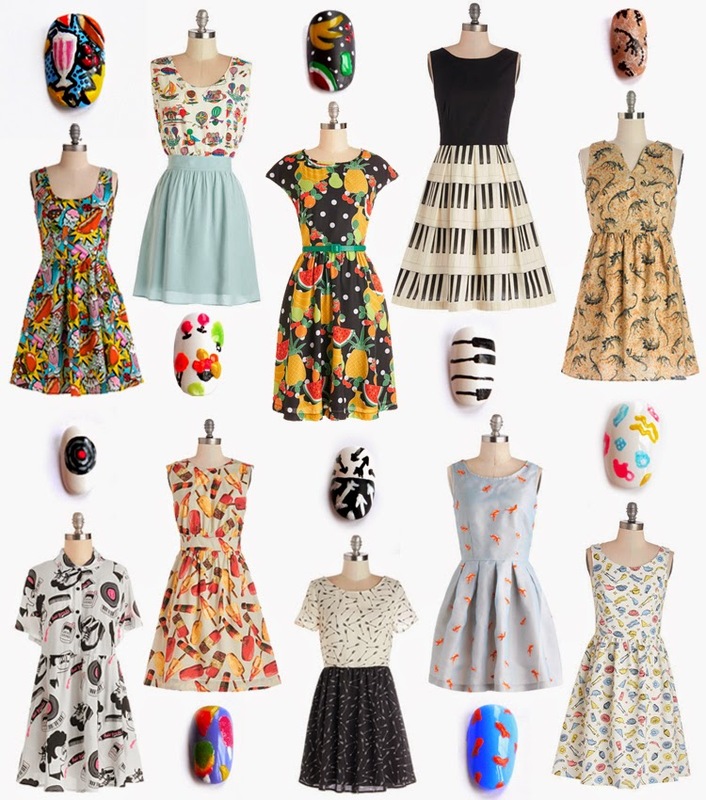 This dress has so many of my favourite things all grouped together in cool pop art style. A bright fun dress, which unfortunately seems to now be sold out. I obviously have great taste. I am loving fruity patterns at the moment and this dress features a whole fruit bowl of goodness. A bit of monochrome always goes far in my book. I love the simple shape and design of this little musical number. The perfect dress for an archeologist, or any dino enthusiast really. A great sandy colour that would look great with a wide brimmed hat, Indiana Jones style! I love Lazy Oaf and this dress shows is the perfect example of their cartoon style. A beautiful summer print. This dress looks good enough to eat with it's sweet Popsicle pattern. Another great black and white number. I love the contrasting top and skirt and the busy arrow print. The colour and fabric of this dress work so well, giving the impression of the perfect pool for these golden fishes. Breakfast on a dress! Yes please! What do you think of my dress picks and their nail art partners?